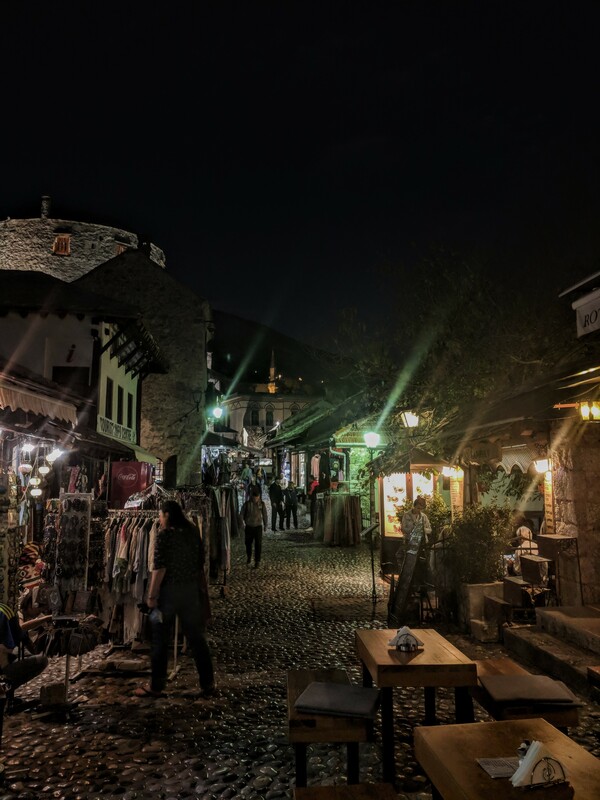 When last we spoke I was singing the praises of beautiful Mostar, sharing photos of yours truly smiling behind a giant platter of food, and spinning thoughts on war and kindness. We left Mostar by bus. A risky venture after the questionable success of the last one, and a risk we quickly paid for. We were heading back to Split in Croatia for a second night, and I was looking forward to seeing the city’s sun dabbled shore and discovering more of what hid behind it’s white stone foundations. But I would have to wait somewhat, as about half way through our four hour drive, our bus inexplicably pulled over onto the side of the road, where it would stay for the next two hours. I say inexplicably mostly because I don’t speak Croatian. Neither does Holly, funnily enough, and so we were both left scratching our heads as the driver took the bus in and out of park while slamming on the brake pedal and calling out in Croatian. We managed to get the gist of it; the bus was broken, something to do with the brakes, and we wouldn’t be going anywhere for awhile. We weren’t too bothered, we didn’t have a schedule to keep, we had snacks in our bags (always have travel snacks), the view from our breakdown spot was incredibly beautiful, and our kindles were charged and full of books. Even if a replacement bus didn’t come for the next day, we’d be fine. Some of our fellow passengers, however, weren’t so lucky. Two ladies, not travelling together, both started…how to put it?…freaking out. They had planes to catch and had not budgeted in time for their bus to break down on the side of a highway. One of the other passengers, a middle aged woman who clearly liked to take charge in situations she shouldn’t be taking charge of, marched down the bus and told them it was alright, she had a solution. They would pray. My eyebrows rose at hearing this, but rose higher when one of the women agreed. The other one responded more akin to my own thoughts, “or we could call for a replacement bus.” They ended up doing both. Not that either woman would see the replacement bus. They managed to score themselves a lift from a passing good Samaritan. Divine intervention? We’ll never know. Split, as suggested earlier, is a coastal town, as much of Croatia is. Old world Mediterranean architecture rubs shoulders with startling blue ocean water, and holds port to a large number of skiffs, sail boats, and cruise ships. The center of Split is Diocletian’s Palace, an ancient roman building that more resembles a large fortress that a traditional palace. 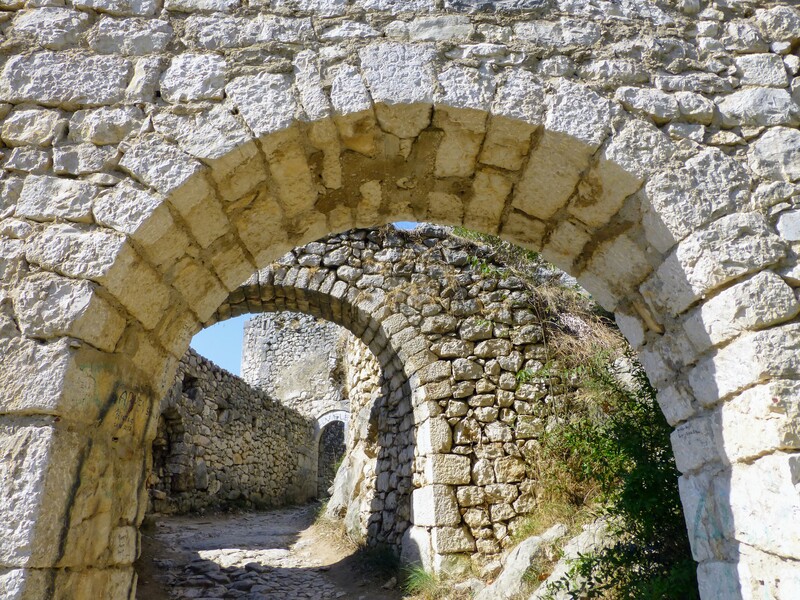 It was built at the turn of the fourth century AD, and has had quite a history since that time, with many conquerors moving in and out as the years passed. Today it is home to the city’s interior with twisting passage ways and shopfronts sprawling out from it like ink leaking through water. Rich white buildings and pillars, courtyards and underground passages, are now home to shops and cafes, gorgeous places to sit and drink a cup of strong coffee, or browse the many delicious food options available. I was very taken with it, but we didn’t have too much time to explore because, on a whim, we had booked ourselves on a sunset cruise. 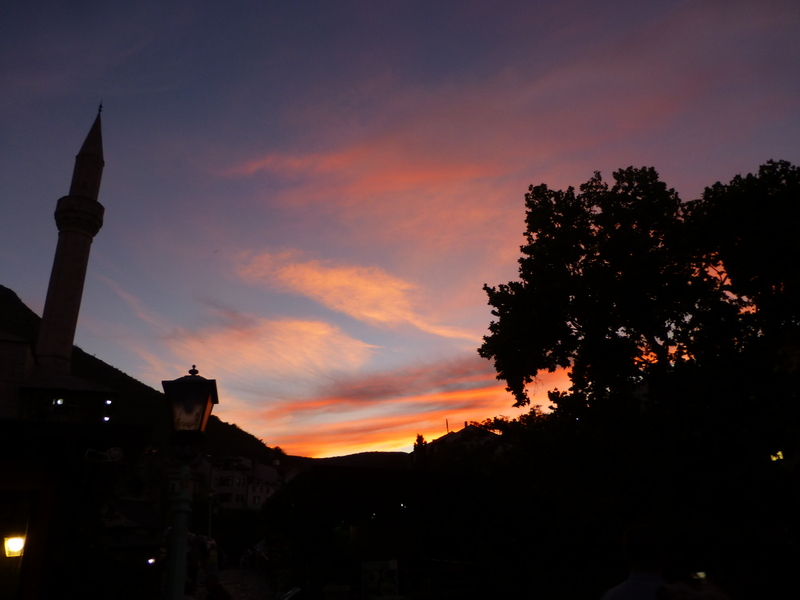 With the sun setting we drank beer, ate canapes, and listened to music from the boats resident band. We felt fancy and exhilarated, and, later, drunk; having taken advantage of the endless alcohol a little too hard. Still, it was a beautiful night, spent beside my favourite person. Split had impressed, leaving us with the vow to hopefully return one day and see what else Croatia had to offer. Next it was onto Prague, aka, my new all-time favourite city. I don’t say that lightly either, by the way. I’ve been lucky enough to visit many amazing cities in the past three months, but Prague…Prague was something else. Part of it was the history, which is long, and terrible, and fascinating. Part of it is the beer, which is hoppy, and varied, and delicious. Part of it was the chimney cakes, which, well, look them up and you’ll see. But mostly it was the grandness of the city itself. The way every turn of every corner found some new architectural delight. How the streetlamps glowed. How the cobbles gleamed against their light. How if I squinted my eyes only a little I could swear I had walked into a city of wood and stone previously only found in the high fantasy books I grew up on. That was the most thrilling part of it all. When I read those books and heard about these grand old cities full of towers and turrets, ale and aged meats, manors and magic, I dreamed of walking through their streets. I thought this was only possible in the pages of books written by imaginative women and men, but in Prague, I lived this dream. The book obsessed teenager in me rippled to the surface and practically squealed as he walked across Charles Bridge, grinned madly at the aged Gothic statues dotting its surface, and took photo after photo of the sprawling, magisterial castle that overlooked it all. I’ve been lucky enough to have visited a number of medieval cities in my time, but none of them came close to living my fantasy the way Prague did. I liked it, in case that wasn’t clear. I immediately messaged Brother Jonathan, who had already been here himself, to madly share my gushing of the fact that I was in a city from the books we loved so much. I don’t remember his response but no doubt it was more subdued than the drunk-on-happiness text I’d sent him. The next day we were already penciled in to do a walking tour of the city, needless to say I was very excited. The tour was ran by an affable North American man who had also come to the city because of love, both of the city and his now wife who was born in a town not far from Prague. This love of his (for the city, not his wife) was infectious and if I hadn’t already been spellbound by Prague at the start of his tour I would have been by the end. From there there’s not too much more to say. We spent the rest of that day exploring it as best we could in our given time, grazing our way through as much food and drink as our stomachs would allow, and repeatedly declaring that next time we came back to Europe we would see more of Prague and more of the Czech Republic. I have no doubt it still has other hidden treasures to discover. The magic of travel is that I get to visit worlds unknown to me. Yes, they may be my world, they may be the planet I’m already familiar with, but until I rocked my way over Croatia’s water, and strolled through Prague’s impressive streets, they didn’t exist to me. Not really. Now they do, and what a wonderful, magical, and beneficial thing that is. The travels continue. The Lady Holly and I have made our way through five countries in the past twelve days. That fact still astounds this previously isolated Australian. Back home I could drive all day and only just make it to the other end of the state. But here I can, and did, do a day trip from Austria to Slovakia in less time than it takes me to get to work. But I’m getting ahead of myself. When last we spoke I was in Berlin, digging through its substrate to find hidden treasures. Much has happened since then, and I want to tell you all about it. We left Berlin by air, a shaky little budget airline, on a flight in which I read, Holly slept, and a giant sat beside me (or as close to a giant as a six foot something human can be–while I do sometimes wish I were taller I did not envy his height in this instance, my knees mostly fit under the chair in front, which is more than I can say for my giant seatmate). The turbulence and my fear of flying had me grabbing the armrest but the views we came upon, islands and oceans, also had me grabbing my camera (but also still the armrests). We were flying from Germany to Croatia, a short flight time-wise, but a large change in both climate and culture. We left six degrees plus windchill from a country full of beer and bread to land in the sunny Mediterranean where shorts, sunglasses, and cocktails were commonplace. We were in Split, but we wouldn’t be here for long, spending just one night before a bus would take us across the border into Bosnia and Herzegovina. We will return to Split and so I’ll tell you more about that in just a moment, but, first, Mostar. 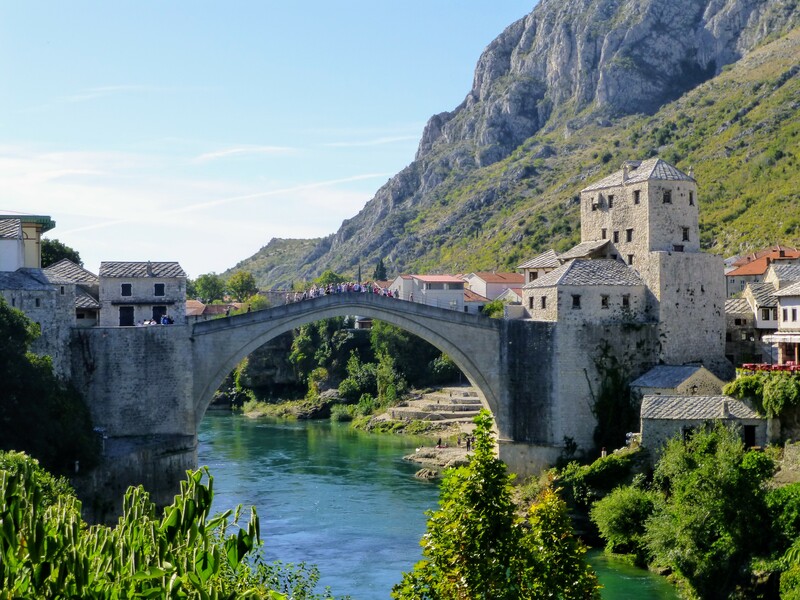 Mostar is one of the more important cities in the Herzegovina region, a city of old beauty and recent war. Its history is primarily one of conflict, as it sits between old dividing lines, nationalities, and religions. This conflict, however, mostly stems from the leaders, politicians, and the usual pack of arseholes who are too greedy for power and so ruin things for the rest of us. Its people, or at least the ones we met, primarily want one thing; peace. But we’ll circle back to that in just a moment. Our first impression of Mostar was unfortunately not a good one. The budget bus line we were travelling with was running late, and so skipped a stop. Our stop. The one we had mapped a course to our accommodation from. Instead the bus dropped us off on the other side of town, where our lack of Bosnian and the drivers lack of English meant we really had no idea exactly where we were. The area was a little run down, and a beggar girl (the only one we saw the whole time it should be noted) greeted us as we stepped off the bus with an outstretched palm. Like I said, not a great first impression, although, to be fair, few bus stations are. We were tired and lost and unsure of safety. 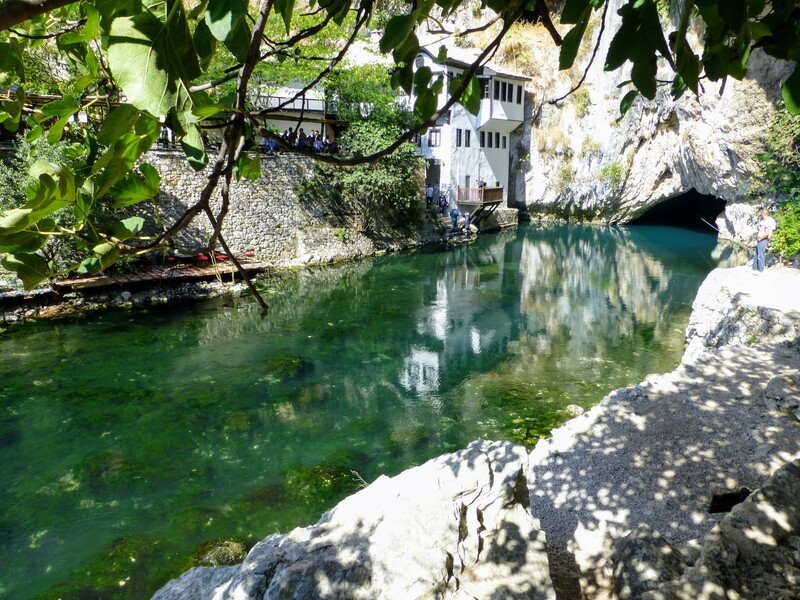 We would later learn that we were never in any danger, Mostar is a remarkably safe city, especially for tourists who are very welcome there, but at this time we just wanted to make it to our accommodation as quickly as possible. There were two obstacles to that, however. The first was that, while I did have a sim card that provided me with 4G in a large number of countries across Europe, Bosnia and Herzegovina was not one of them. WiFi was also not available, at least at the bus station, and so any help from our phones was off the table. The second was that we didn’t have the right currency. Bosnia and Herzegovina is part of the European union, but are a later addition and so haven’t converted their currency to the Euro. Again, we would later learn that plenty of places did accept Euro, but for now we thought we might as well have monopoly money. We shook ourselves out of self pity and went and found an ATM. Now cashed up, the next thing was to find a taxi. We found one, but the guy took a phone call midway through Holly explaining where we were trying to go, and waved us away. Cool. So, it was onto the next one. Again, Holly explained where we were trying to get to, and after the driver conversed with a friend who must have known the roads better than he did, we were on our way. Things were looking up. Accommodation in Mostar is largely guest houses, and ours did not disappoint. Our host, Nina, was kind and welcoming, with a delicious Eastern European accent that had me wanting to mimic it just to feel the taste of the words on my tongue. I did not, at least not while she was still there. The house was big, we had the entire first floor, which was a two bedroom house in itself, and wonderfully clean after the unfortunate experience with the apartment in Berlin. It was also laughably cheap, considering how nice it was and its great location; we were only a ten minute walk from old town. With our spirits well and truly lifted we decided to waste no time and go check it out. 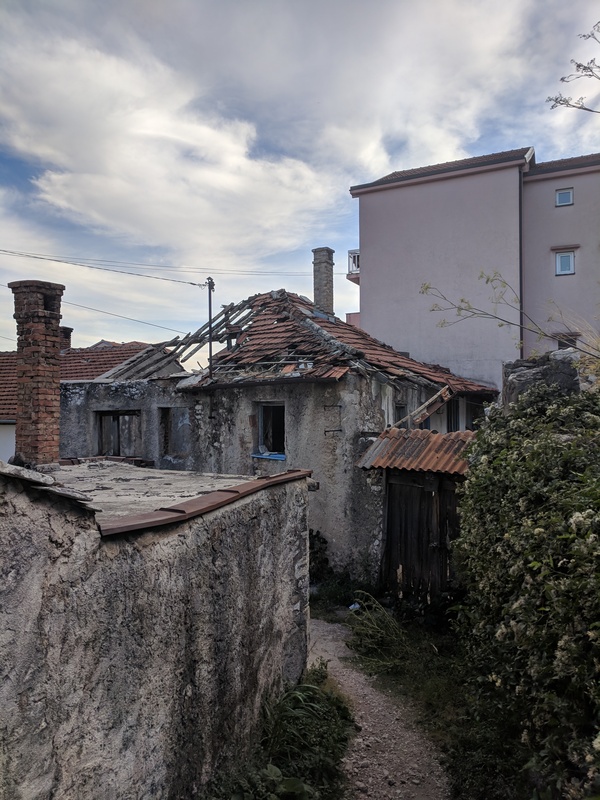 The wounds and scabs of the recent Croat-Bosniak war were obvious as we walked, present in the form of dilapidated buildings, chipped and broken mortar, and the simple shells of what once were homes. Around those though, was rebuilding. The war officially ended back in 1994 and while Mostar still hasn’t recovered to what they were previously it’s not for lack of trying. For all the bombings that happened during the war, and there were many, the old town mostly managed to stay clear of it. I say mostly for one very important reason. The bridge. 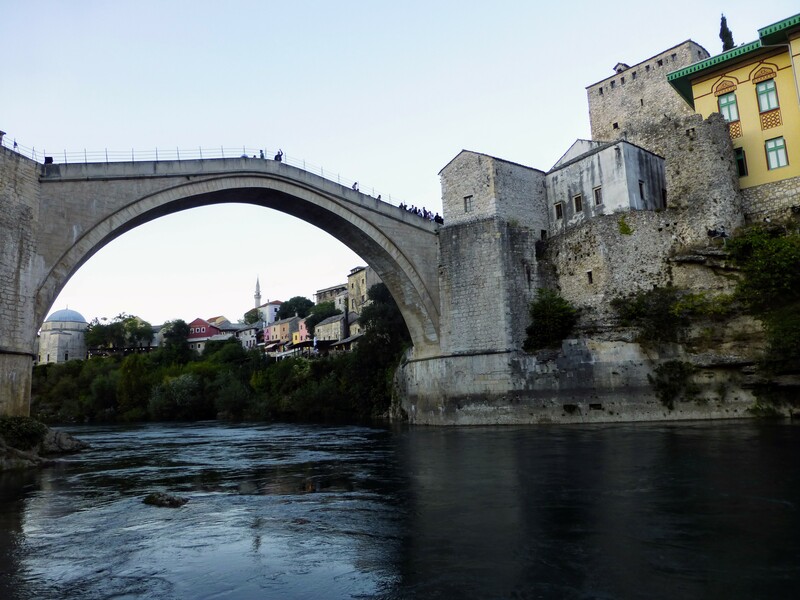 The heart of old town, the heart of Mostar, and a proud feature for the locals, is the Stari Most, which translates, simply, to Old Bridge. They call it how it is in Mostar. They have good reason to be proud of this iconic feature because it really is quite lovely. Unfortunately, back in 1993, after standing for four hundred and twenty seven years, it came down. Military forces during the war destroyed it, after first destroying every other bridge in the city. The people were devastated, understandably, and it wasn’t until 2004, after the war had ended, that it was rebuilt, thanks in part to the financial aid of a number of neighbouring countries. The bridge, however, is just the peak of the enchanting old town, where multi layer, bazaar-laden, cobbled streets are rich with people, riverfront seating, and the smells of spices and cooking. We were quickly caught by the charm of the place. It seemed like another world. Like a little pocket of medieval Arabia. A town from another era, which indeed it was. I would not look like that by the time we were done. I would look bloated and full and like I’d just eaten my weight in meat, which indeed I had. The whole thing cost fifteen euro. We spent the next few days exploring this broken and beautiful place. We had two guides in this time, one young, born towards the end of the conflict, hopeful and energetic and proud, the other older, having lived through the war, less energetic, with some bitterness, but still proud. This time would prove to be some of the most engaging of our entire trip. While we have visited countries that had experienced wars of their own, never had it been so recent, and, ironically, never had I known so little of it. This had happened in my lifetime. While I had happily been running around in grade two, these people had been running across streets to avoid sprays of bullets, hiding in shelters as bombs fell over head, protecting what they could from a war they didn’t want, didn’t agree with, but that they had found on their doorstep nonetheless. The heart of the Croat-Bosniak war comes from three nationalist groups coming into power and then using this power to try and gain more power. They used past county lines and religious differences to try and gain territory and dispel people. Concentration camps were set up, families split, people killed; the usual laundry list of atrocities that come from war, and it had happened just over two decades ago on the land we were now walking. Our second guide, the older one, while explaining all this, mentioned in passing that he had been a soldier during it all, by necessity more than choice. He also explained that even though the war was over the effects were still being felt, and that many of his friends had turned to drugs and alcohol after a fragile peace was restored. He told us this not with anger or bitterness, just fact, the same way he pointed at a billboard for the upcoming elections and told us the man on it, the one looking for votes, was a war criminal who had avoided punishment. He spoke a lot that day, and for the most part Holly and I listened. As he talked I got the sense that he had avoided the fate of his friends because he talked, because he had people who listened, even if they were strangers from a foreign land who’d paid for the privilege. His tourism had turned to therapy. I hope he continues to talk. I hope that tourists continue to visit. I hope that war never finds them again, even if the roots of it are already trying to find ground. There was one other thing, one beautiful and inspiring thing, that both guides told us. 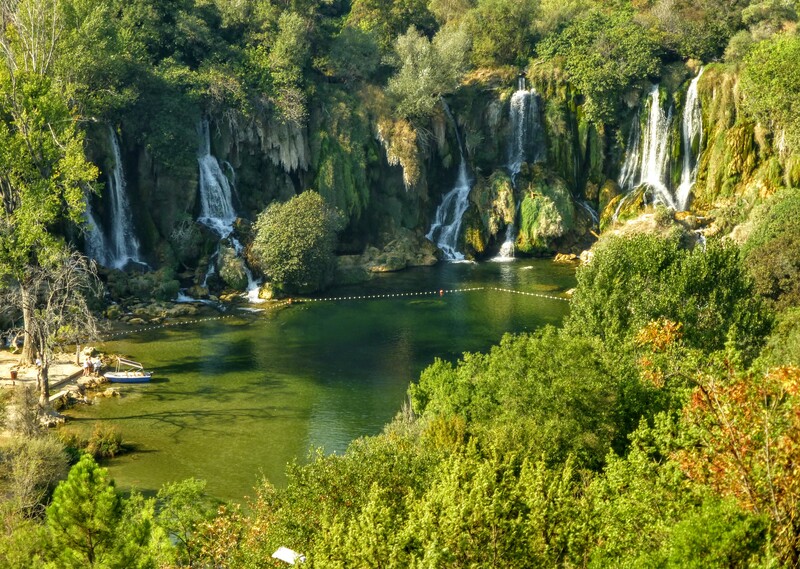 It has to do with the people that share Mostar’s borders. People from three lands, Croatia, Bosnia, and Serbia, each with differing religions, Catholic, Muslim, and Christian Orthodox. These differences were the reasons the nationalists used to start their war, and the one they continue to try and use to re-flare it, but separatism is not something felt by the people of Mostar. Quite the opposite. 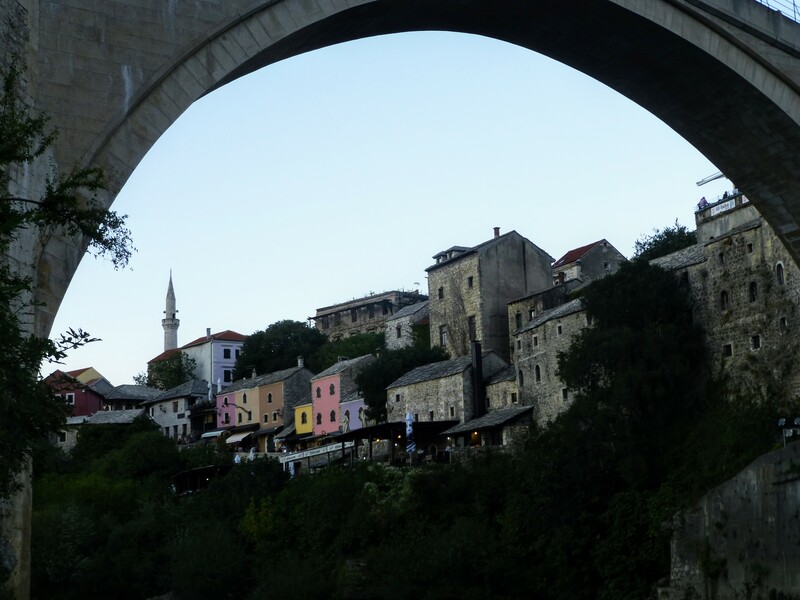 “Unity is the spirit of Mostar” is what both guides told us. That was how they said it, the spirit of Mostar. They said it with pride, they said it with hope, as they explained how before the fighting all these differing parties had lived, worshiped, and even married together, how tolerance and understanding was common in a place that could have instead been a boiling pot. To say I was humbled by Mostar and its people would be an understatement. 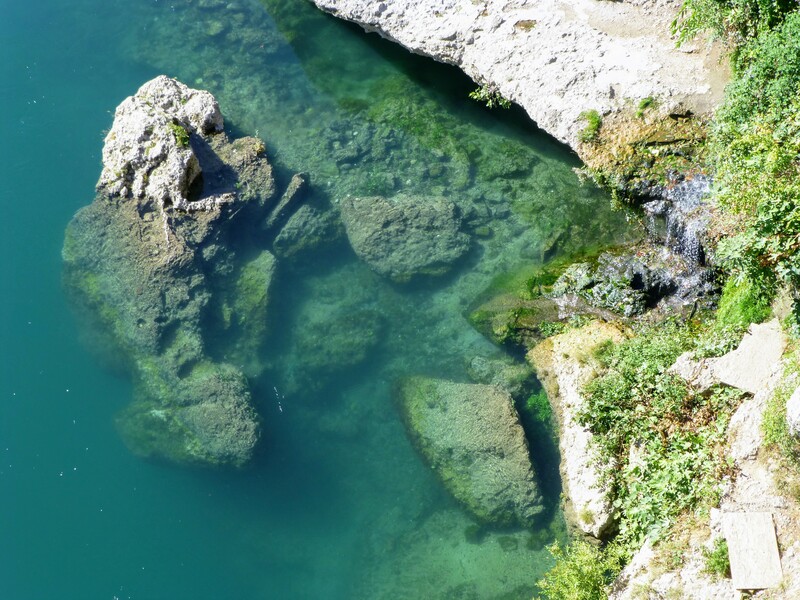 We primarily went to Bosnia and Herzegovina for the lovely scenery and pools of turquoise water, and we definitely got that, but we got something else as well. A deeper understanding of the evils of mankind, yes, but also the kindness that often gets overshadowed by it. A kindness that should never be disregarded and never be forgotten. I was planning to write more on this leg of the trip but this feels like a nice stopping point, so I’ll save that for next time. Instead, I’ll leave you with some of the scenery I mentioned. Over the last week I’ve been writing a story on twitter with the help of friends and strangers. You might remember this from the last time I did one, but basically it’s a collaborative effort where I provide the ongoing story and the aforementioned friends and strangers vote on what direction it goes. I genuinely really enjoy doing these. One, because it means I’m ensuring I write every day, even if it is just in two hundred and eighty character bursts. And, two, because it also makes the writing process a lot less isolated. It’s amazing to me that the writers room for this little story was spread out over who knows how many spaces and countries. It truly shows the brighter side of the internet. So, to everyone who voted and followed along, thank you. In fact, I enjoyed it so much that I’ve also started a new twitter page where I can continue these stories indefinitely. Feel free to click the previous link to follow along and participate, the more voters the better as that will ensure the story doesn’t stop. In the meantime you can also click the link below to read the twitter story; The Words in the Walls. Remember, we live in a time where at any point you can type ‘red panda’ into google then see a bunch of pictures of them, and if that’s not magic I don’t know what is.